Philadelphia Rapper Meek Mill along with other activists today made a huge announcement. They will be making a justice reform organization named The REFORM Alliance. 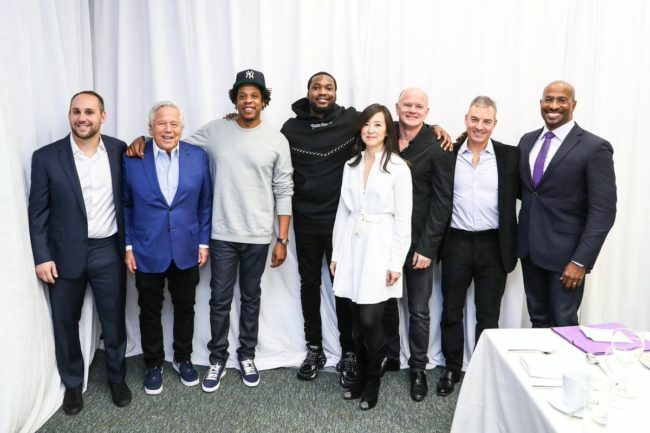 Meek Mill was joined with legendary rapper and mogul Jay-Z, New England Patriots owner Robert Kraft, and Philadelphia 76ers co-owner Michael Rubin in this effort. They all came together in New York City today for the announcement. 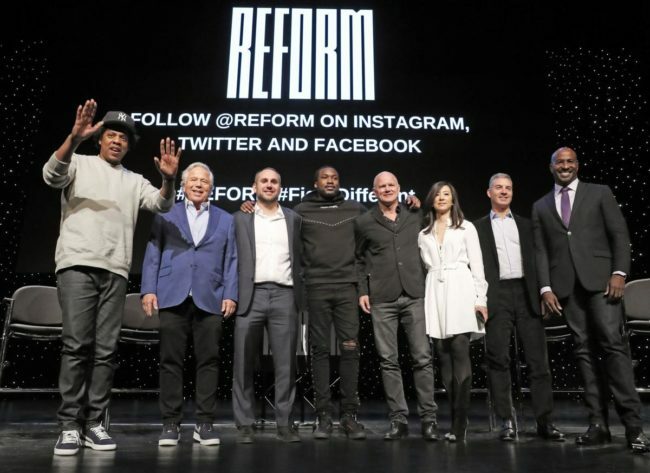 The REFORM Alliance will be led by Van Jones. Jones is a former CNN host and activist. Jones resume also includes being an adviser to former President, Barack Obama. Rubin will serve as REFORM’s chairman. According to USA Today, the organization conceived after Rubin arranged a meeting between Meek Mill and Kraft last spring. “We give to charitable things and we try to do good. But here you have (Meek Mill), who’s creative, who’s innovative, who’s inspiring to young people. And for riding a motorcycle and doing a wheelie, he’s put in jail where tax payers are paying to keep him going, and he’s not employing all the people he could be employing and generating all of the tax dollars he could do. It’s just a cuckoo system – forgetting the social impact of that. Michael Rubin stated the group will be declaring $50 million to the effort. The alliance also wants to see other people pitch in money and effort for the cause. Other co-founders include Third Point LLC CEO/founder Daniel Loeb, Galaxy Digital CEO/founder Michael E. Novogratz, Clara Wu-Tsia co-owner of the Brooklyn Nets and Robert F. Smith CEO/founder of Vista Equity Partners. The REFORM Alliance goal is to diminish the number of people in the criminal justice system by one million in the next five years. According to government statistics, 2.2 million people in the U.S. are incarcerated. 4.5 million people are on probation and parole. Rubin noted that 6.6 million people are currently in the U.S. court system. The rate of the U.S. incarceration is 5 times higher than the rest of the world.